Pssssssst. Hey, pal. You know Studs, right? Studs Lonigan? No? You must be new around here. I mean, Studs is… ah, but why am I telling ya? You should hear it directly from his pals. Head down to the pool hall and look for three guys named Jens, Yavar, and Clark. If you see some shady-looking characters arguing about motifs, that’s probably them. 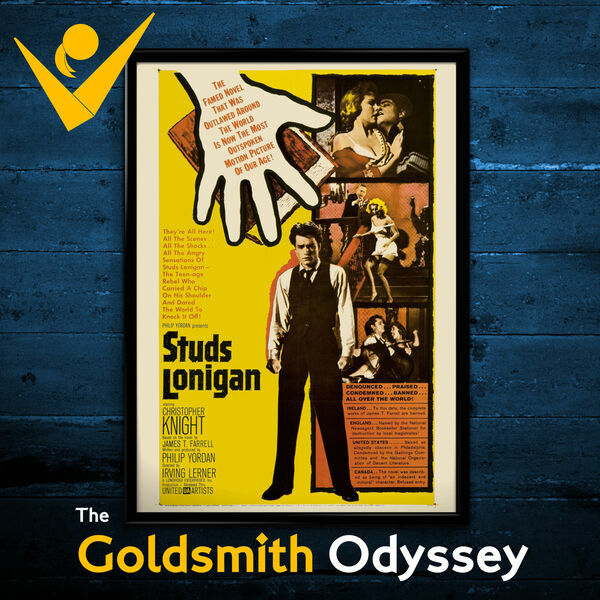 Anyway, they’ll tell you all about Studs, and the movie director Irving Lerner made about Studs back in 1960, and the score Jerry Goldsmith wrote for that movie, and probably some other nonsense you didn’t even ask about. Hey, they mean well. Have you heard that score, by the way? I bet they’ll play some of it for you. Hot stuff, that record. Hotter than Studs himself, if we’re being honest, but you didn’t hear that from me. Anyway, what are you still doing here? Get outta here and go see the boys. Scram! The Work: Here are the Discogs listings for the Studs Lonigan Quartet release and the Varèse Sarabande CD Club release. Also, if you are so inclined, you can obtain a Region 2 DVD of the film from Amazon.co.uk.